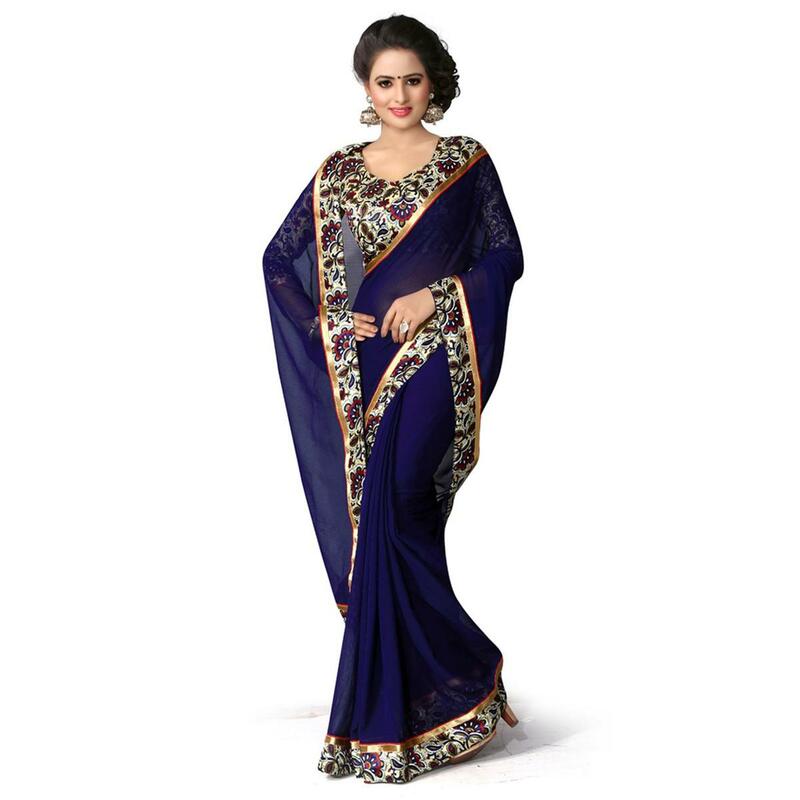 Expect compliments to be on their way with this dark blue saree. 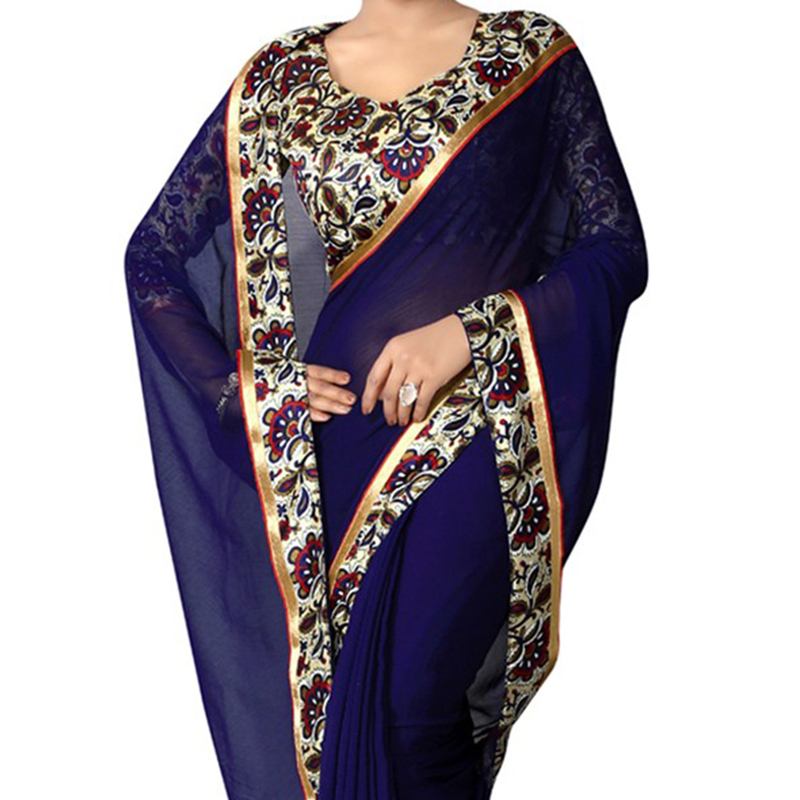 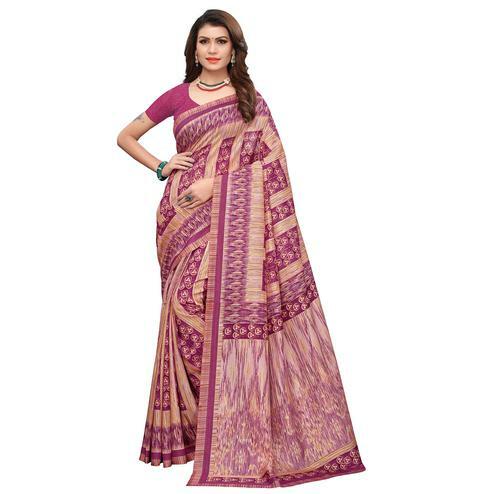 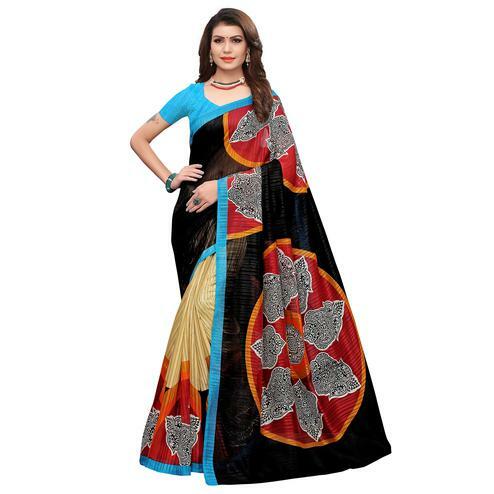 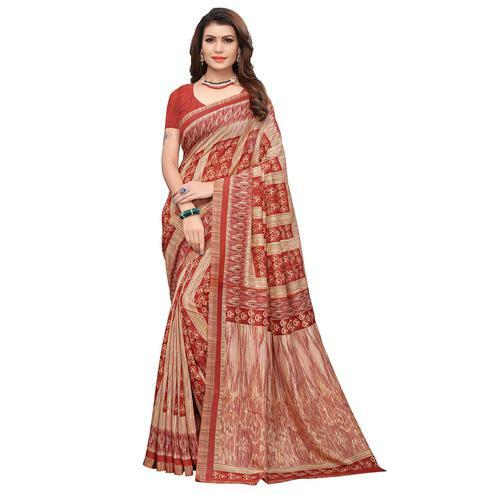 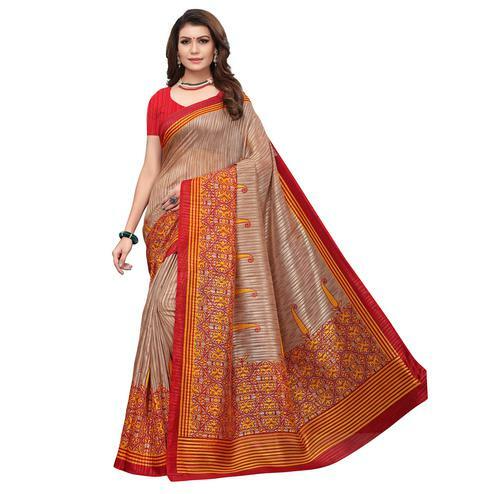 This saree is made of georgette fabric & beautifully designed with floral printed lace border work. 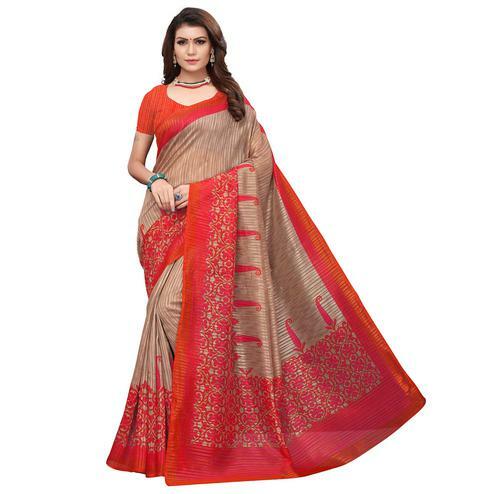 It comes along with a unstitched raw silk blouse piece. 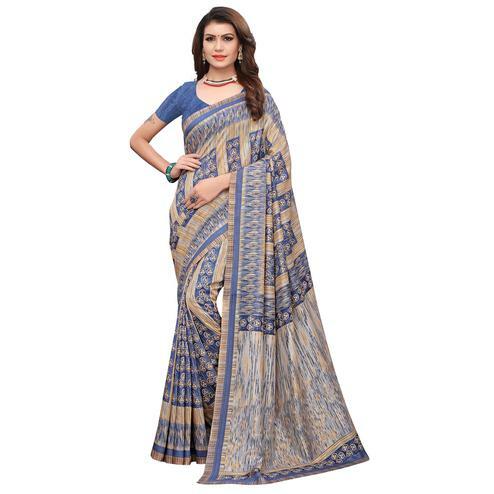 Ideal for casual outing & social get together.